Before you recycle your aluminum tray, make sure it’s clean. Traces of food are acceptable, but more than that will contaminate the recycling system. 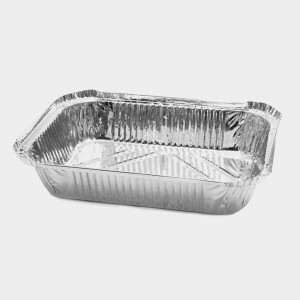 Aluminum trays and pans can be washed and reused for cooking multiple times. You can also put them to use storing craft materials, shed or garage items, or catching drips from household plants. Recycling aluminum conserves 95 percent of the energy that is typically spent when making new aluminum, which makes it the most valuable item you can recycle.